As part of her internship program, Alesha was required to complete a project showcasing what she learned during her time at Craig. 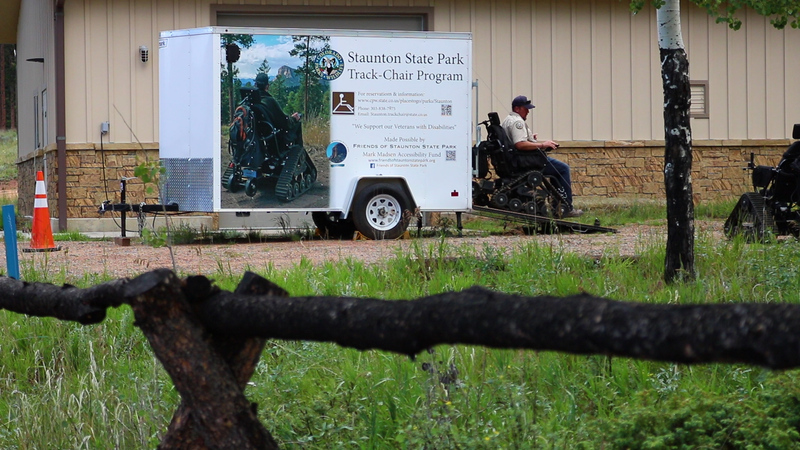 She wanted to find something that would complement Colorado’s outdoor lifestyle; after learning about the new Staunton State Park Track Chair program, she knew she wanted to focus her project on promoting the accessible hiking program to patients at Craig and beyond. “I wanted to empower patients and show them they can still participate in activities they enjoy,” says Alesha. To bring her project to life, Alesha organized a therapeutic recreation outing for a patient that combined two of his passions, filming & the outdoors. “The outing itself was extremely therapeutic. We worked on unique transfers, improving dexterity while driving the chair, family education for personal care needs outside of Craig, and showed him adaptive equipment that will help him continue doing what he loves,” says Alesha. The track chairs can be modified to a patient’s level of ability. If an individual has the skills, they can control the chair on their own with a joystick. If a patient does not have grip strength or ability to use his or her hands or arms, modifications can be made. By the end of her internship, Alesha developed an even bigger appreciation of therapeutic recreation. “Thank you to Craig and the therapists who love what they do. Working with individuals who have been thrown one of the toughest curve-balls life could bring gives me perspective which drives my passion for showing patients that life can still be enjoyable after their injury. It might look a little different than before, but it is still worth living,” says Alesha. 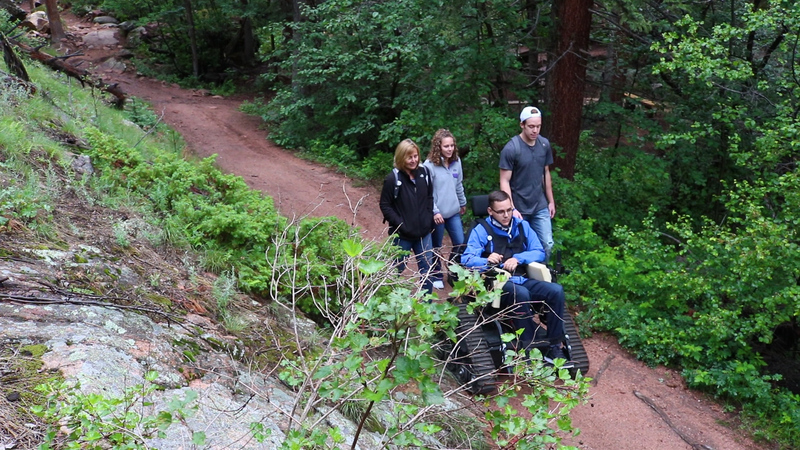 Check out this video of the adaptive hiking therapeutic recreation outing that was organized by Craig intern, Alesha Reed, for her final project!